The Lightning Seeds “Three Lions,” the team’s official song when it hosted the tournament with its repeated chorus of “football’s coming home,” is a staple once again, No. 5 this week on YouTube UK’s top music videos chart with more than 2 million views on the day of England’s last match. MOSCOW — Gareth Southgate and England are ready to face the music. No other soccer nation dwells on decades of failure quite like the English. 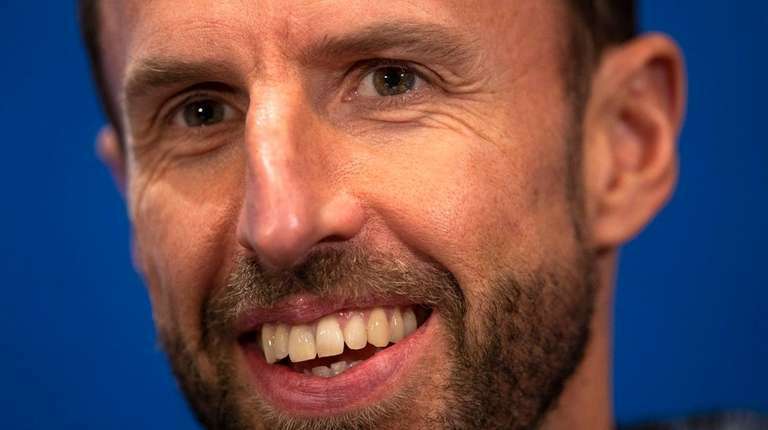 Southgate was so demoralized by his penalty kick failure against Germany in the 1996 European Championship semifinals, he avoided The Lightning Seeds “Three Lions,” the team’s official song when it hosted the tournament. Now the song, with its repeated chorus of “football’s coming home,” is a staple again, No. 5 this week on YouTube UK’s top music videos chart with more than 2 million views on the day of England’s last match. England hasn’t played in the semifinals of a major tournament since Southgate’s penalty kick at Wembley was saved by Andreas Koepke 22 years ago, and Andrea Moeller put the next kick over David Seaman and under the crossbar. The most-cherished national team memory remains the 1966 World Cup final victory at Wembley over West Germany, a demarcation point in the island’s history as much as 1066 (the Norman invasion) and 1707 (union with Scotland). “It was a long time ago, so not too many of us can remember that far back,” said midfielder Jordan Henderson, born in 1990. The winner Wednesday advances to Sunday’s final against France. Southgate wants to break stereotypes, and not just on the field. “I’m rare breed. I’m an Englishman that doesn’t drink tea,” he said. England and Croatia are teams that innovated over time but have generally been immutable during the World Cup, sticking to virtually identical starting lineups except for group phase finales, after advancement was secure. In the other four games, Croatia’s only variable to its 4-2-3-1 formation was whether to start captain Luka Modric in a deep midfield role and Andrej Kramaric more advanced, or to move up Modric and start Marcelo Brozovic. Croatia made its only semifinal appearance in 1998, losing 2-1 to host France. Defender Dejan Lovren is a teammate of Henderson’s on Champions League finalist Liverpool, and Lovren bristled when asked about a 4-1 loss at Tottenham last October when England striker Harry Kane scored twice.